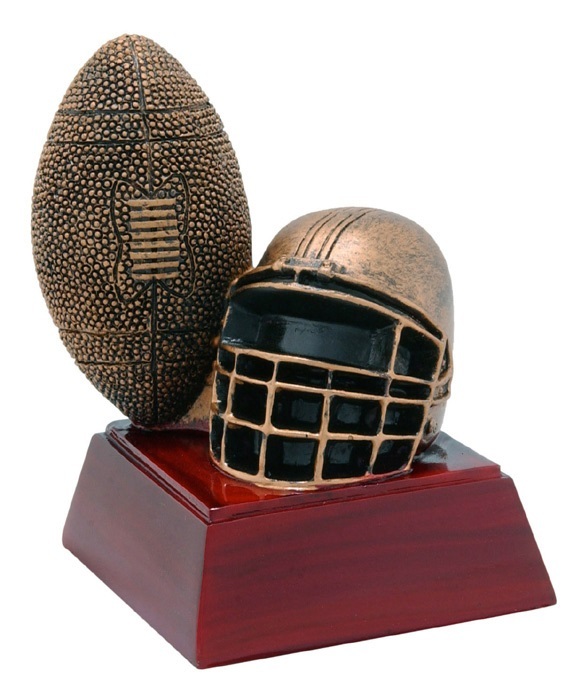 4" Painted Football and Helmet Resin trophy. Figure is brown with a red base. Price includes engraving on 1" X 3" engraving plate.